A supersized spy sequel hits theatres with Kingsman: The Golden Circle. Following up from 2015’s surprise hit, director Matthew Vaughn’s latest entry in the series is big on spectacular action but comes up kind of short in the plot department. A rousing car chase and subsequent shootout – featuring lots of formulaic slo-mo – kicks things off as streetwise British spy Eggsy (Taron Egerton) is confronted by an arch-nemesis with a robotic arm. The arm in question ends up hacking the Kingsman’s network, causing the ultimate destruction of the entire agency. It looks grim for our intrepid heroes until Eggsy and Merlin (Mark Strong) head across the pond to team up with their US counterparts, aptly called The Statesman. 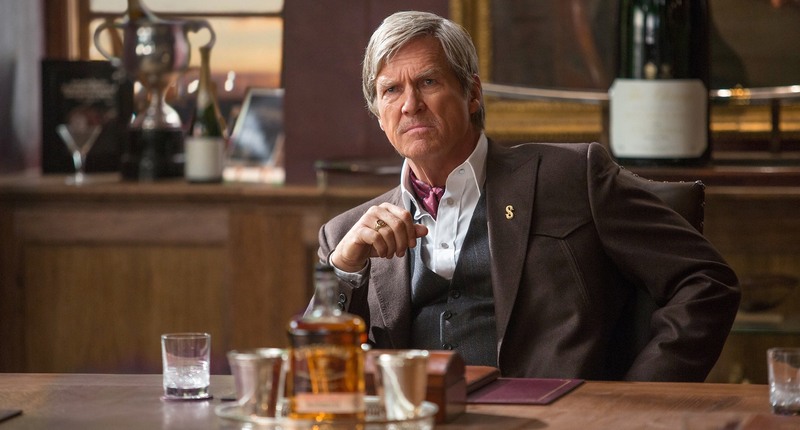 The Americans have catchy booze monikers like Tequila (Channing Tatum), Whiskey (Narcos and Game of Thrones actor Pedro Pascal), and Champagne (Jeff Bridges). They are also conveniently housing Galahad (Colin Firth), Eggsy’s mentor from the first movie who was presumed dead but, ya know, sequels. The new Secret Service alliance must help bring down a criminal mastermind named Poppy Adams (Julianne Moore) who heads the Golden Circle, a shadowy criminal organization with a devious plan to lace every drug in America with a deadly toxin. Poppy lives in a hidden fortified jungle base, containing a kidnapped Elton John (playing himself), and has a flair for ’50s nostalgia. Her penchant for bowling alleys, movie theatres, and diners makes for a lot of interesting set pieces. Oh yeah, she also has a couple robot dogs that are brilliantly rendered right out of a sci-fi nightmare. The first thing people should know about The Golden Circle is that it’s rather long; at 141 minutes the film is a bit of an endurance test at times. This is probably most evident in the middle as a lot of exposition spells out the overly elaborate intentions of the villain. Admittedly, some of the action scenes could have been trimmed slightly but they’re mostly so gloriously over-the-top that it’s forgivable. The flick’s story travels around the world to numerous exotic destinations, resulting in really dynamic sequences. From England’s Glastonbury music fest, to a Kentucky whiskey distillery, to the Italian Alps, and the jungles of Cambodia, the movie’s international locations make for a fitting James Bond tribute and keep the settings engaging. With plenty to look at in the scenery department, the big name cast helps move the sometimes bloated plot along nicely. Egerton, Strong, and Firth are charming as ever and work strongly together. Jeff Bridges provides a brief but enjoyable turn as head of the Statesman. Channing Tatum and Halle Berry (who plays a tech expert) are effective but somewhat underused. 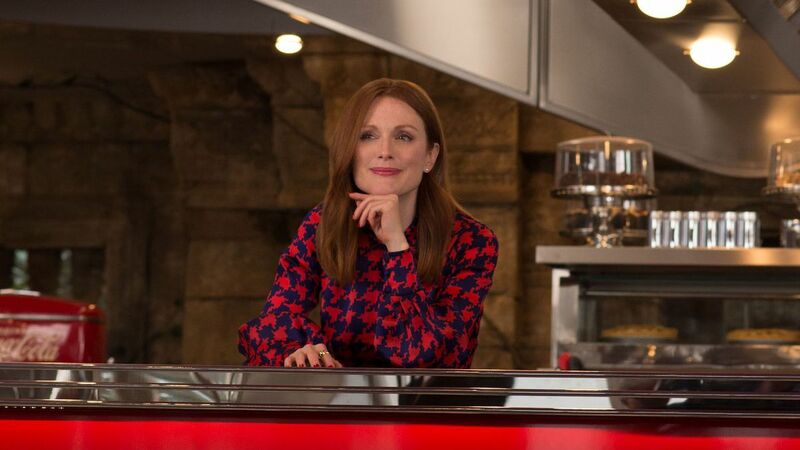 Julianne Moore relishes her nefarious baddie role with convincing glee and is a hoot to watch. Singing legend Elton John’s extended cameo isn’t classic but the veteran performer does get some decent scenes that showcase his notorious bitchiness rather well. 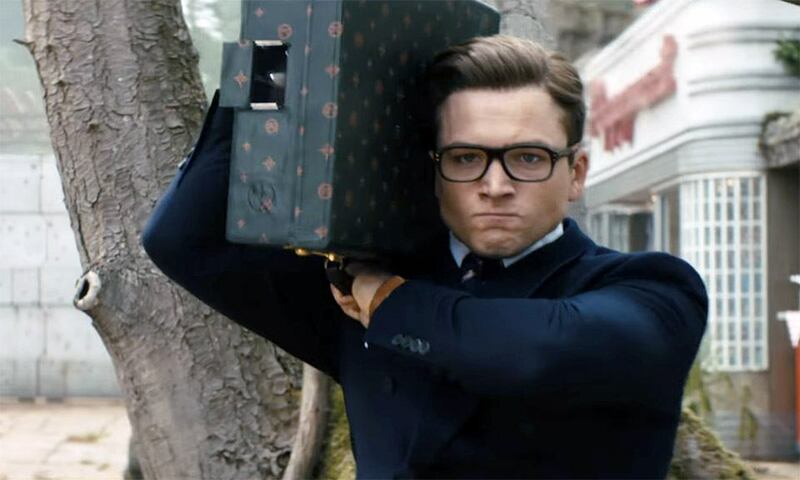 Kingsman’s sequel doesn’t quite live up to the giddy thrills of the first outing but it does take its characters in amusing directions plus adds interesting new faces. It would be intriguing to see a third instalment and the setup for a trilogy is definitely evident. The jokes are a little sparser this time around and they don’t always hit the mark. However, what the movie lacks in laughs it makes up for with absolutely insane violence, that straddles the line between very graphic and very hilarious, and loads of course language. 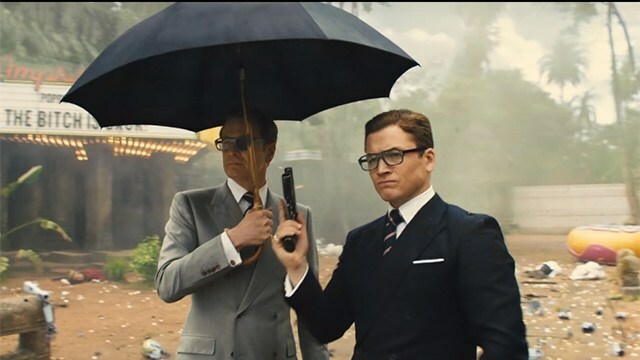 Though they never descend into complete parody, the Kingsman movies certainly poke fun at the 007 franchise while containing enough signature style and memorable performances of their own to earn a nice niche in the action genre. Kingsman: The Golden Circle suffers from a few persistent sequel problems but still manages to sporadically delight, despite its lengthy runtime, and gets 3 out of 5 pieces of popcorn. Playing at a theatre near you. Rated 14A and is 141 minutes long.